Versital is delighted to announce the launch of its new metal banded tables. 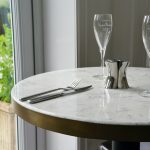 Designed to complement the already popular table tops from Versital, this new design feature is the perfect detail to finish off bar and restaurant projects. With 3 beautiful real metal finishes to choose from, including the very popular Gold Shimmer shown. Table top shown in white marble finish ‘Arabesque’ with metal band in ‘Gold Shimmer’. “In the past year the trend for metal accents in the hospitality sector has continued to grow. Designers are constantly looking for interesting and practical design features to offer something a little special. 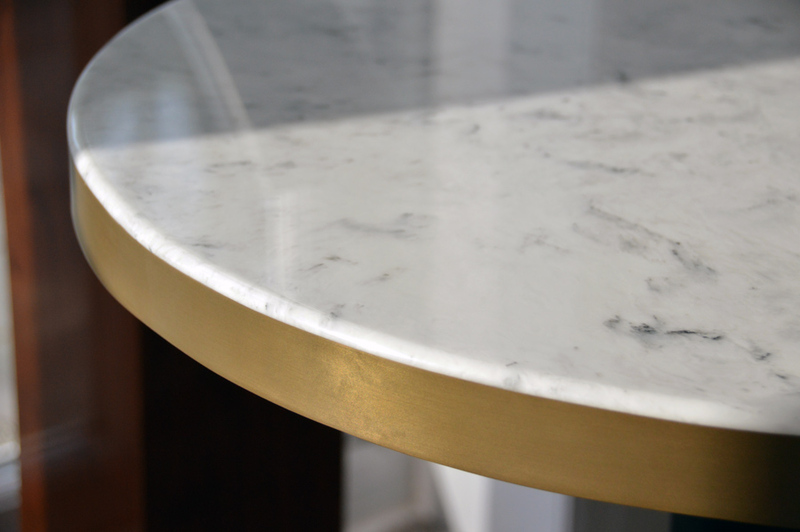 Our new tables combine the current trend for marble and metal perfectly. After looking at many options we are delighted to offer a fantastic ‘Liquid’ metal solution, which offers the benefits of being a real metal in terms of touch and upkeep whilst also being extremely practical in a hospitality environment, with no gaps or joins to catch dirt”. Gemma Stockberger, Sales, Marketing and Development at Versital. The new metal banded table option is available in the full range of table top size options from Versital, as well as bespoke options. 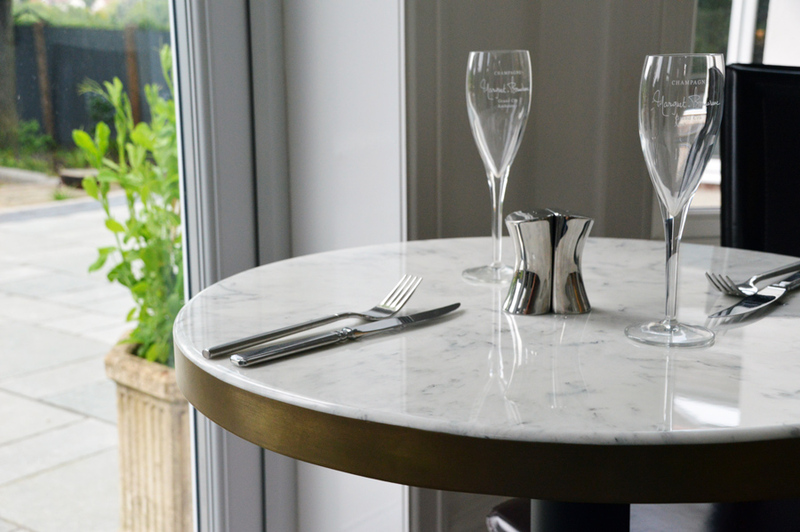 Versital marble table tops are the perfect solution for the hospitality sector. Being a hand made cultured marble they offer a very realistic alternative to real marble, whilst also offering the highly desirable benefits of being 100% waterproof and stain resistant. For more information on Versital Metal Banded Table Tops or a personalised quotation, please get in touch on 01204 380780, or via our contact form.